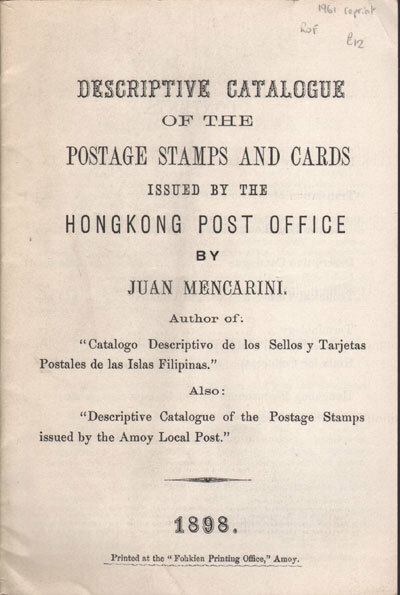 “Portada de Descriptive catalogue of the Postage stamps and cards issued by the Hongkong Post Office, de Juan Mencarini,” Archivo China España, 1800-1950, consulta 26 de abril de 2019, http://ace.uoc.edu/items/show/185. MENCARINI, Juan. Descriptive catalogue of the Postage stamps and cards issued by the Hongkong Post Office. Amoy: Fohkien Printing Office, 1898.